After failing to lift the title under Manuel Pellegrini in the previous season, Manchester City managed to lure one of the most respected managers in Pep Guardiola to the Premier League to try and take the team to the next level. However, the Spaniard’s first season in the league is not going according to plan as his side is 8 points off Chelsea at the top of the table. Speaking in a recent interview about one of his former clubs, Guardiola believed that Spanish giants Barcelona have what it takes to bounce back this season. Luis Enrique side were humiliated on their trip to Paris in the first leg of the Round of 16 of the Champions League earlier this week and Guardiola felt that if there was a team who could turn it around, it is Barcelona. 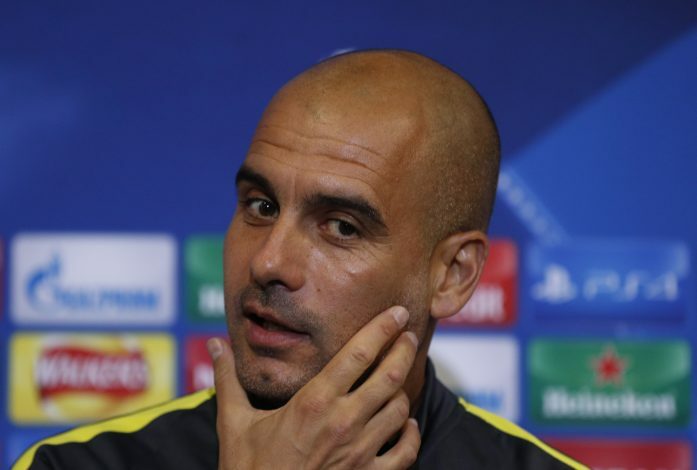 “There’s a lot of competition, the opposition are so strong,” said Guardiola. “You can win heavily or you can lose heavily, that can happen, it’s happened to me, but there are 90 minutes to go and anything can happen. If there’s a team who can do it, then it’s Barca, with their mentality. Guardiola also spoke about his chances of moving back to Catalonia and revealed that he is not going back to Spain in his career. “Barcelona are still the best team in the world. It’s always a surprise because they are so, so good, but in football anything can happen,” he said. “I will never go back to Barcelona to be coach there. My period there is gone,” he added. Having won 14 major titles in his time at the Camp Nou, Guardiola knows everything about the Spanish club and he felt that Barcelona will be back to prove their haters wrong after their defeat against PSG. “When you have dominated world football, it’s normal that the people expect you to keep up that level, but my advice to you, knowing Luis and the players a little, is not to talk too much, because they will be back and prove you wrong,” Guardiola said. “They’ve done it over the years, dominating football for 10 years, and they continue to be the best team in the world,” he added. This will come as a blow to Barcelona as they do not have too many candidates who can replace Luis Enrique come the end of the season. Do you think Guardiola should be back at Barcelona?